It needs to be understood that home flipping is not another get rich quick scheme. It requires time, effort, determination and cash. That being said, there is a ton of money that can be made by flipping homes. How can you earn a living flipping houses? Step 1. Locate buyers who are looking to buy property. Step 2. Locate a property that meets your investor’s guidelines. Step 3. Place an offer on that property that includes the right to assign the contract. Step 4. Once offer is accepted, deposit the earnest money and start the closing process. Step 5. Draw up an agreement assigning the contract to your buyer for a fee. Step 6. Submit the assignment contract and invoice for your fee to the title company. Step 7. Your buyer closes on the property. 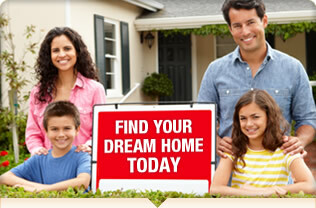 You are paid by the title company out of the closing costs. In some wholesale transactions, an assignment is not possible. In this case, the wholesaler will create a whole new purchase agreement for their buyer which includes his fee. When it comes time to close they will complete a double-close at the title company. The seller and wholesaler close first and then the wholesaler and his buyer immediately close thereafter. The proceeds from closing #2 are used to pay off closing #1. In either type of transaction, the wholesaler receives a check from the title company. Some investors have the skills and resources to fix up a distressed property and resell it for a profit. This type of property flipping has the potential to create extremely high investment returns. A rehabber must be able to obtain financing for the purchase and renovation costs or have another source of cash to finance the purchase, renovation and the holding period. Purchase costs: $1,500 (2%: Inspection, Closing Fees). Holding costs: $1,800 (6 Months - Utilities, Property Taxes and Insurance). Other selling costs: $3,150 (2%: Transfer Tax, Title Insurance, Closing Costs). Profit: $56,550 (less any mortgage costs). This method is particularly profitable when there is a large supply of cheap or heavily discounted homes, such as foreclosures, and an ample supply of buyers looking for quality properties. Many rehabbers find flipping foreclosures to be a very profitable business. An excellent way to free up cash is to remodel and hold your first property. This can be used as either your primary residence or as a rental property. Once the property is remodeled, the investor can extract the equity by means of a Home Equity Line of Credit (HELOC). This line of credit can be used to finance additional property purchases or remodeling projects. Once the sale has been completed, the HELOC is paid off but the line of credit is open for another transaction. If this same thing is done on a couple of properties, the investor should be able to fund his business out of his own equity while using the rental money to pay off any property mortgages. There is a huge potential for making money flipping houses. Depending on the method used, an investor can make small fees but a lot of them or complete a few transactions each year but walk away with tens of thousands of dollars in profit.